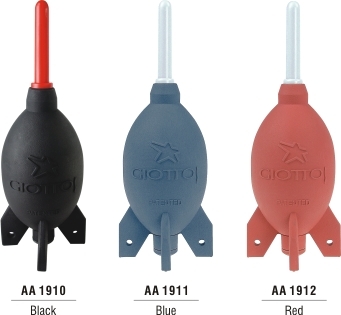 The Rocket-air blower series are made from nontoxic, natural and environmentally-friendly rubber, resistant to both high and low temperatures, tear-proof. 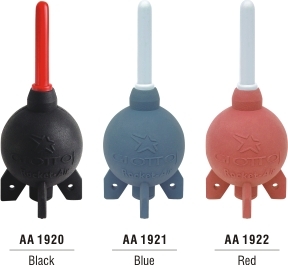 They are very powerful and easy to use, it has an air valve to prevent it from breathing in dust and blows out a powerful stream of air to blow dust away, making cleaning lenses, cameras and-filters a breeze. 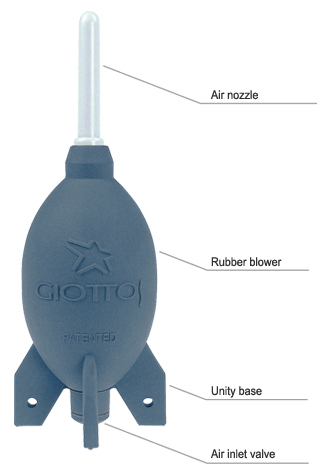 Giotto’s patented and unique rocket-shaped base design can stand upright, and its nozzle can be removed. 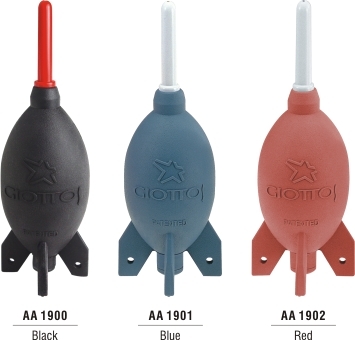 ●Detachable supper air stream air nozzle. ●Special design for optional neck strap attachment. 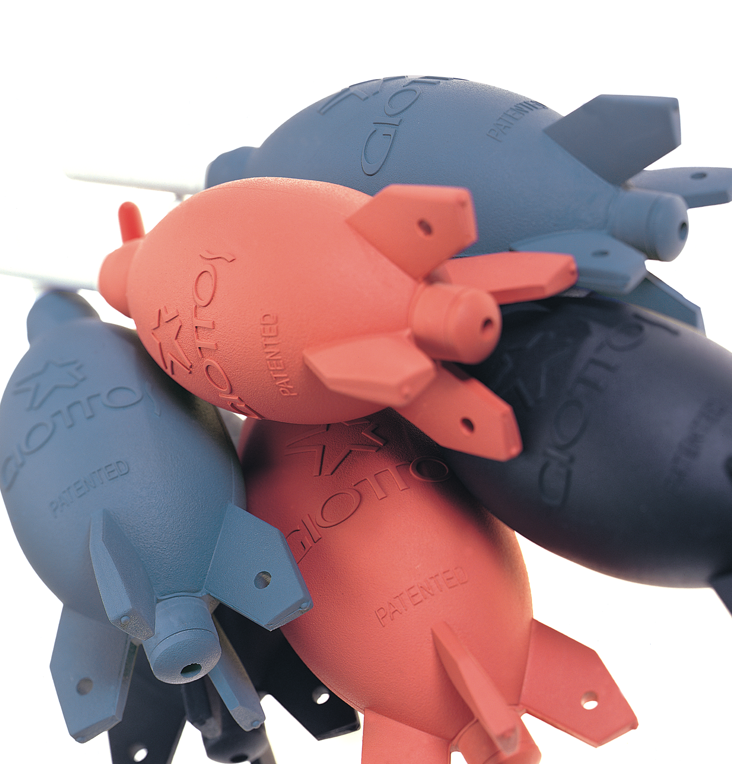 clinging to items from static electricity.